PDFs are images of documents, as opposed to editable text files (such as a Word document). A PDF editing software solution turns a PDF into a living, editable document. PDFs can be created within, or uploaded into, these platforms. These solutions should not be confused with document creation software. PDF editors often include password protection to view and edit documents and designated fields, as opposed to document creation software, which is collaborative and allows users to edit any part of the document. PDF editor software is beneficial to users who frequently work with contracts. This includes but is not limited to salespeople and relators. These users can leverage this software to alter contract templates for each individual customer. PDF editor software can often integrate with document scanning software. Users can scan PDFs with document scanning software and edit necessary fields with PDF editor software. PDF Editor reviews by real, verified users. Find unbiased ratings on user satisfaction, features, and price based on the most reviews available anywhere. Icecream PDF Editor is a software that enables you to edit PDF files easier than ever before. Get access to all the tools and PDF editing modes you need with the help of smart tools panel. You can edit text, add notes, redact, protect files, manage pages and much more with the PDF editor. PDFsam Basic, a free, open source, multi-platform software designed to split, merge, extract pages, mix and rotate PDF files. Nuance Power PDF Advanced can help you create a list of PDF documents that you can manage, and then quickly convert every file to a common Microsoft Office or RTF format. ooking for an inexpensive alternative to Adobe Acrobat? Please try PDFill! LightPDF is a safe & free website providing all visitors online PDF tools for using. Those tools include the PDF converters, editor and other tools that can help to split, merge, sign, unlock PDF, etc. Users can use the service for free, without any signup & subscription required. Plus, the best part of LightPDF is that it does not have time or file size limits in using. pdfDocs is a project-centric PDF management application that gives users the ability to create, collate, edit, redact, annotate and secure PDF content. Users can print, email and save documents from within the unique Organizer workspace as well as profile documents into a document management system. Users can set up Organizer workspaces for specific cases, matters or projects complete with output and security settings, which can be shared on a network drive. pdfDocs integrates with business applications and systems. pdfDocs can also be used to create electronic PDF binders. It automates the process of converting and assembling vast amounts of documents into a single or multi-PDF, which can be distributed to clients or third parties quickly and securely. pdfDocs is available in Standard, Professional, and Enterprise editions depending on your requirements. PDFRun offers solution to open and edit PDF files online. DataNumen PDF Repair(DPDFR) is a PDF recovery tool. Ultimate eBook Converter, include the best eBook Converter + DRM Removal functions, helps you read your own eBooks more freely and easily. It supports Kindle, Adobe Adept and Nook DRM, and convert your books to epub, pdf and mobi format. In a word, with this soft you can decrypt and convert nearly all purchased books in batch, such as Kindle, Google, Kobo, Sony, B&N, etc. Win PDF Editor provides tools to edit and modify PDF content. PDF Complete offers PDF document creating and editing solutions. Classic PDF Editor is a software to view, create, convert and edit PDF files. FlexiPDF is an all-round PDF editor for Windows. FoxyUtils uses a proprietary library and gives back to the environment by planting a tree for every 5,000 conversions on its site. Ultra-small, ultra-fast, exceptional PDF rendering solution. 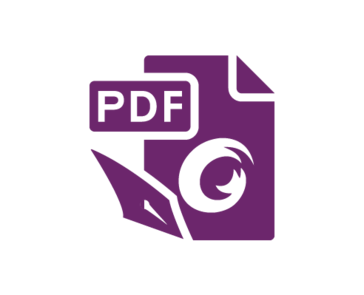 MuPDF is a highly versatile, customizable PDF, XPS, and eBook interpreter solution that can be used across a wide range of applications as a PDF renderer, viewer, or toolkit. A few of our interactive features include annotations, form filling, and page manipulation. The MuPDF SDK is designed for easy implementation and immediate productivity for developers, making it a perfect fit for mobile browsers, eBook and embedded applications where speed and quality are key. MuPDF supports the widest range of document input and output formats in today's market. There are several versions of MuPDF consisting of a software library, command line tools, and viewers for various platforms. The viewers can be downloaded from Google Play and the App Store. The SDK can be licensed from Artifex for commercial use or under the AGPL for open source use. MuPDF runs on a wide range of operating systems including Android, iOS, Windows, macOS, Linux, and Unix-like systems. pdfLei offers a more efficient way to view and manage hundreds or thousands of pdf files, all in one place. No more pdf files will be buried deeply inside nested folders. Fast, robust and beautiful PDF page editor for your mac. 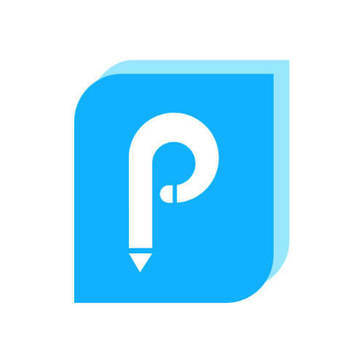 PDF Page Editor Pro Edition gives you a complete set of PDF page editing tools. You can select particular pages, rotate PDF pages, reorder pages and much more It not only allows you to merge multiple PDFs into a single file but also enables you to split a single PDF into several files. With PDF Page Editor Pro Edition, you can easily alter PDFs by replacing, extracting, rotating, deleting, or appending pages. Altering PDFs has never been easier. If you are unable to copy content, edit, print, extract images, comment, highlight PDF files, it simply means that the PDF file is restricted with Owner password. Server by ActivePDF provides true multi-threaded Print-To-PDF support for Enterprise Applications. Solid Converter turns PDF files into fully editable Windows documents. Whether you need your content in Microsoft Word, Excel, PowerPoint, HTML or just text, Solid Converter gives you simple methods to quickly get your content. Hi there! Can I help you find the best PDF Editor solutions?